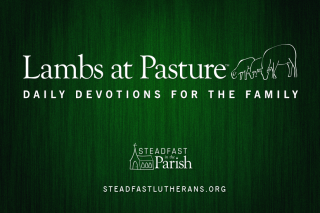 For those of you who haven’t registered yet (this year has been our best early registration year yet) there is still time to register for the 2015 National Conference of the Brothers of John the Steadfast. 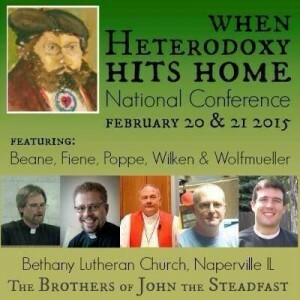 This year’s speakers should be enough for anyone to come, but added in the topic of “When Heterodoxy Hits Home” and it is sure to be a great conference. To sweeten the deal, we have decided to have couple other things at the conference as well. 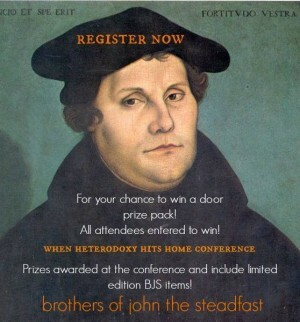 Everyone who registers and attends the conference will be eligible to win some wonderfully Lutheran prizes. We won’t reveal the secret of what these prizes are right now, but suffice to say that they are unique. My children still wear their “Yes, Doctrine is Black and White” shirts that they receive about four years ago at their first conference. This year we will also have some new designs available for purchase for a low price (probably $10). If you haven’t already, go here to register. This year’s conference is one you will not regret attending. 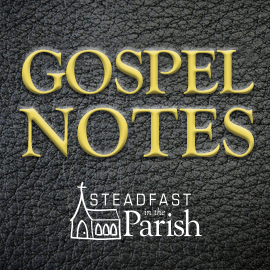 Remember — register by January 20th and you receive a $10 discount over the registration fees. own a German Shepherd dog. Rose Bowl Parade these past 5 years. Instantly celebrate goal-reaching best practices.